Welcome to Wistaston Parish Council's Website. 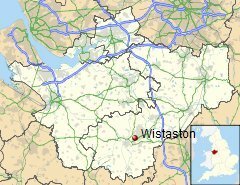 From this site you can find out more about your community, what's going on near you and about Wistaston's long history. A detailed map showing the boundary of the parish can be seen on the Wistaston Map page. The Wistaston Neighbourhood Plan was 'made' on 7th December 2017.